I found this posted in a Facebook group. 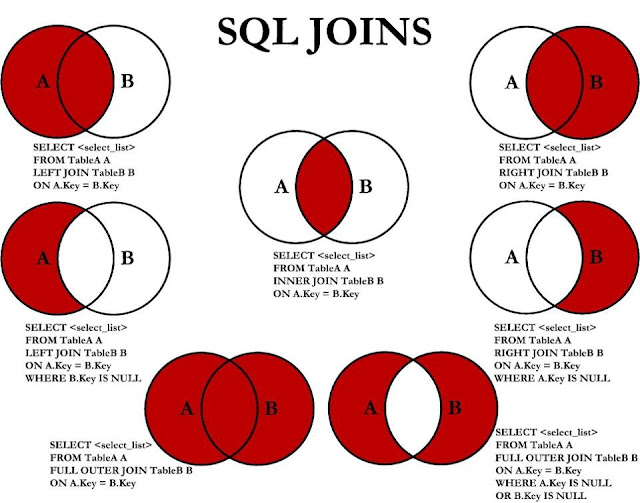 It shows in a simple manner the type of SQL joins and what data they will return. A big Gracias goes to Juan Carlos Ugaz for allowing me to share this. I prefer 'EXCEPTION JOIN' in stead of a test on NULL-value. One type of join I miss here is 'CROSS JOIN'.